Monu Goyat got 11 raid points in 18 raids but couldn't take Haryana Steelers across the finish line. 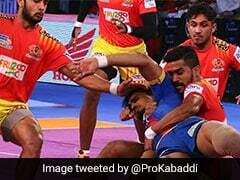 Dabang Delhi finally reversed their three-match losing streak in the Pro Kabaddi League with a 39-33 win over Haryana Steelers at the Shaheed Vijay Singh Pathik Sports Complexin in Greater Noida on Thursday. This was Vikas Kandola's first match as captain and Haryana's Monu Goyat was on the bench. Goyat came off the bench to try and inspire his team as he got 11 raid points in 18 raids but couldn't take the team across the finish line. In the other match of the day, Bengaluru Bulls registered 37-27 win against the UP Yoddha. In the first match, Ravinder Pahal justified his nickname of "The Hawk" as he got six tackle points which included a strong Super Tackle towards the end. Meraj Sheyk's Super Raid helped him get a few points off Haryana's grabs. Naveen Kumar stood consistent as he got nine raid points for Delhi in 15 raids. 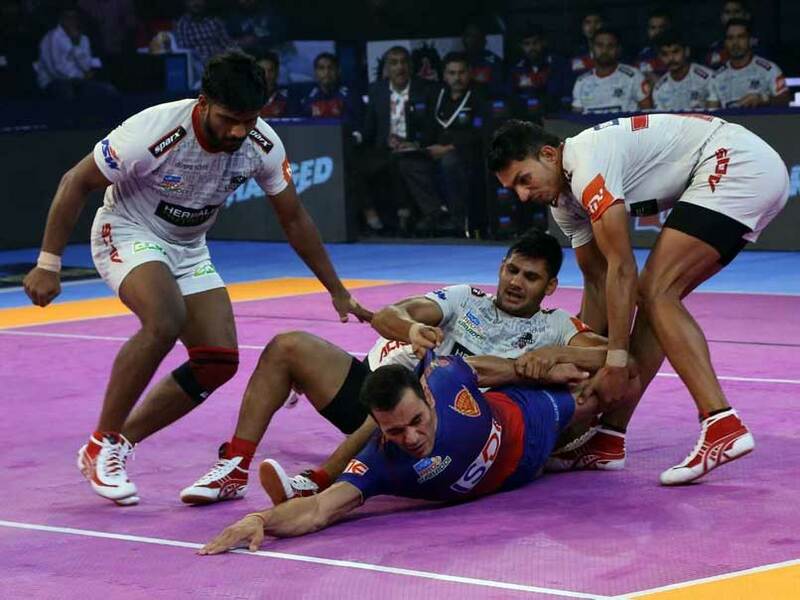 Dabang Delhi were going through a slump as they had lost their last three matches while Haryana started the match with Monu Goyat on the bench and an extra defender in the starting line up.